Estha Weiner writes poems that look effortless, yet their premise can change with every line, every syllable, like sonnets so honed as to be all volta. Erich Auerbach wrote that Dante discovered how to write about events, not just feelings. Weiner's poems are events themselves, contained whirlwinds; they can turn--as in “At the American Burger” ­– against the authorial stance. In the Weather of the World is disciplined, volatile, subversive. It’s a thrill to watch Weiner’s lens zoom into an unassuming moment of daily life, inhabit it, and disclose the vast, strangely unexplored territories of contemporary history. 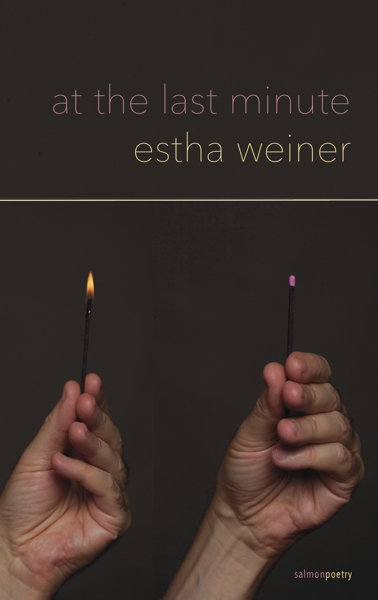 ESTHA WEINER’s newest poetry collection is at the last minute (Salmon Poetry, 2019). She is author of In the Weather of the World (Salmon Poetry); The Mistress Manuscript (Asheville Book Works); Transfiguration Begins At Home (Tiger Bark Press); and co-editor/contributor to Blues for Bill: A Tribute to William Matthews (Akron Poetry Series, University of Akron Press). Her poems have appeared in numerous anthologies and magazines, including The New Republic and Barrow Street, and six poems have been translated into Dutch. Winner of a Paterson Poetry Prize and a Visiting Scholar at The Shakespeare Institute, Stratford, England, Estha is founding director of Sarah Lawrence College NY Alumni/ae Writers Nights, Marymount Writers Nights, and a Speaker on Shakespeare for New York Council For The Humanities. She is a Professor at City University of NY, and Sarah Lawrence College Writing Institute and serves or has served on the Poetry/Writing faculties of The Frost Place, Hudson Valley Writers Center, Stone Coast Writers Conference, Poets and Writers, Poets House, and The Writers Voice. She also serves on the Advisory Committee of Slapering Hol Press, Hudson Valley Writers Center. 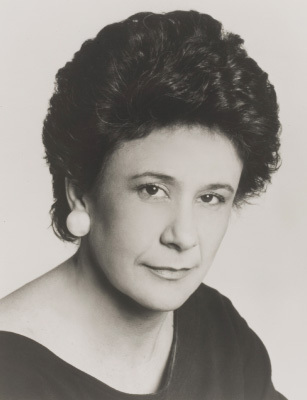 In her previous life, Estha was an actor and worked for BBC Radio.